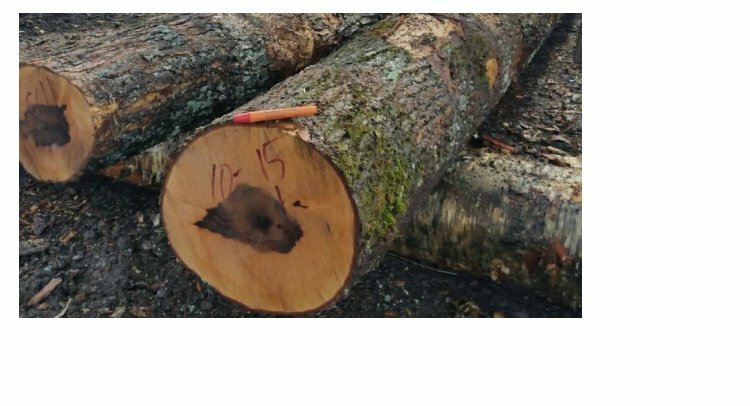 Industrial quality markers for Professional use. 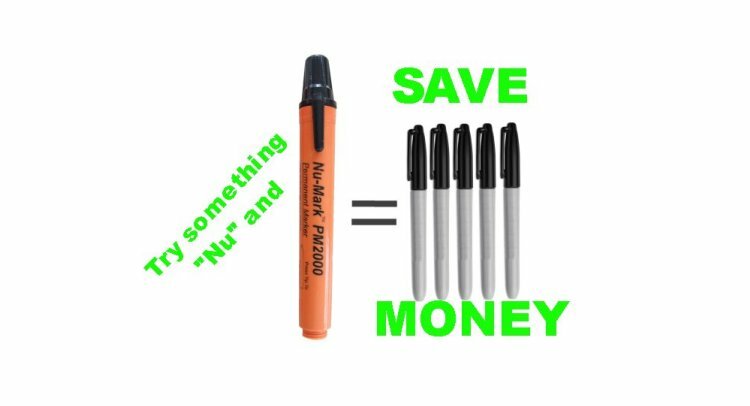 Try our “Nu” XF5000 Xylene-Free marker! 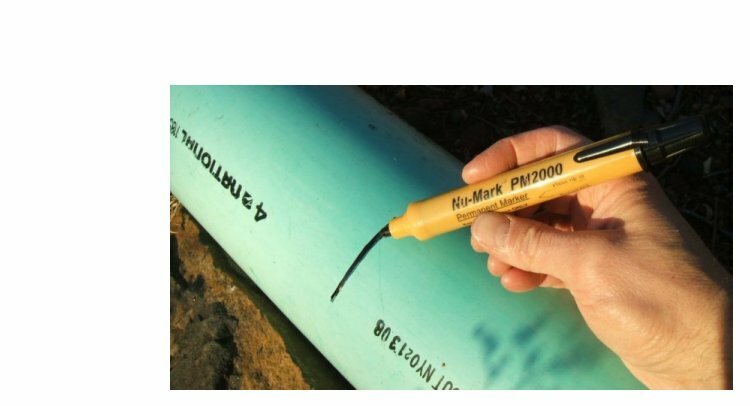 Our “Nu” XF5000 permanent marker is designed for maximum performance on most surfaces. 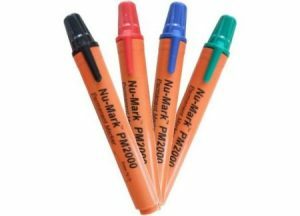 To our loyal Nu-Mark permanent marker customers: The “Nu” Xylene Free marker is NOT replacing our popular PM2000 (& MM3000). This will be offered as a option for those who prefer Xylene free. 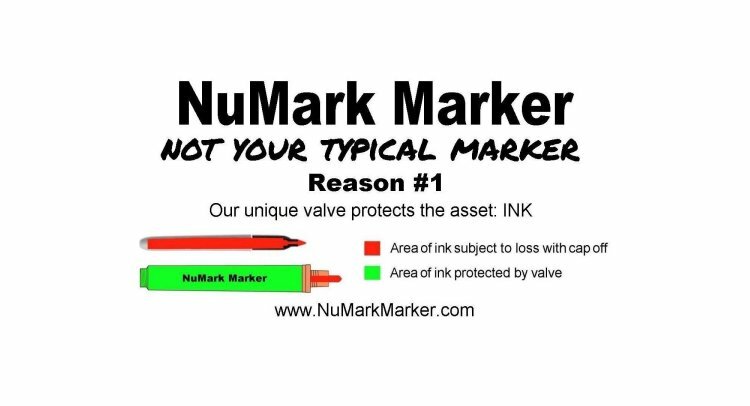 Our original Nu-Mark Permanent Marker is what we are best known for. 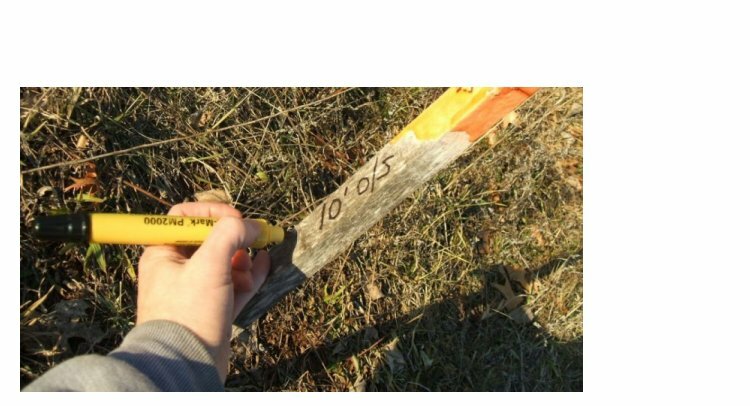 Unlike typical “consumer” grade markers this marker is truly “Industrial” quality made for Professional use. 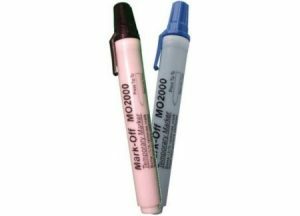 Our Mark-Off Marker leaves dark durable marks on most surfaces and “washes” off of non-porous surfaces with soap and water. Perfect for temporary marks for layout and cutting. paint flow control, better scuff resistance and more durable tip! 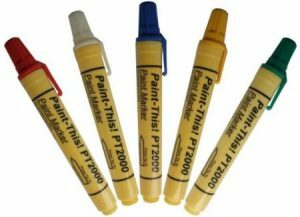 *Our tests show that given the same writing line width our PM2000 writes more than five times the distance of the most popular disposable markers. 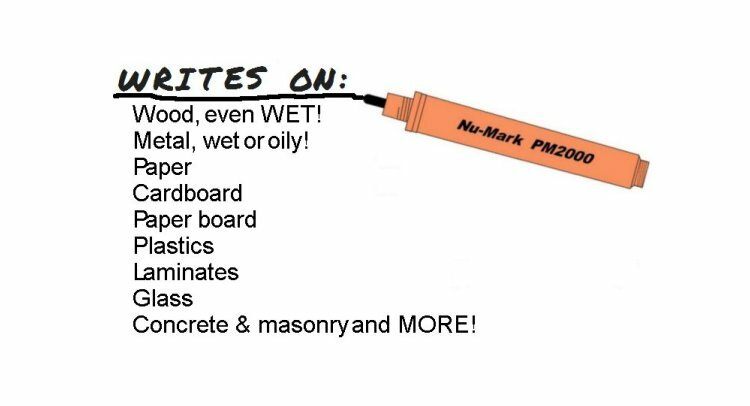 Replacing those cheap markers with a NuMark PM2000 will reduce plastic waste by nearly 35%!